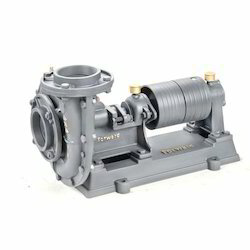 Pioneers in the industry, we offer fast pulley pump, loose fast pulley pumps and centrifugal water pump from India. These type of Fast Pulley Pump. 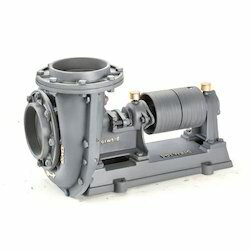 These pump is manly used when water is not constantly required or lifting of water is not constantly done. When the flat belt is diverted in to fast pulley the pump starts working and the water is lifted and when water is not required the flt belt is diverted to loose pulley the the pulley rotates but the pump does not work .In this case the engine keeps working with stopping nad restarting of engine many times. With the valuable assistance of a skilled team of professionals, we are offering Loose Fast Pulley Pumps. These pulley pumps are manufactured by finest components in compliance with the set norms. We offer these pulley pumps in several specifications, as per the needs of our customers. Also, our offered pulley pumps can be purchased from us at industry leading price in a given time frame to customers. Fast & Loose Pulley Centrifugal Water Pump.